Extra seating and perfect for serving. 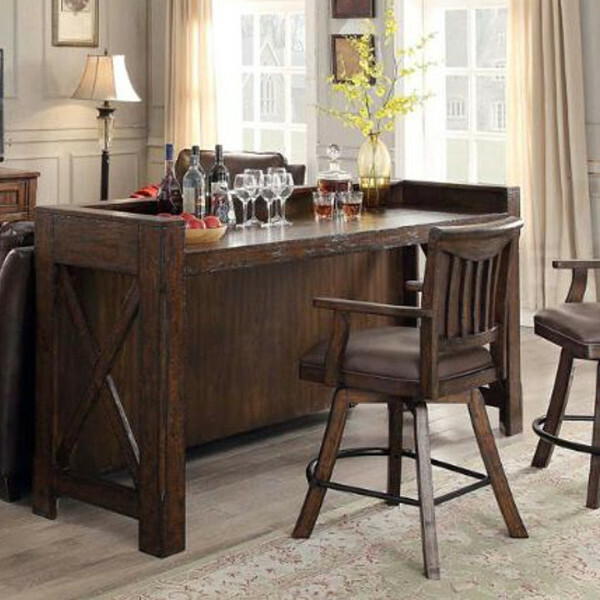 Theater bar feature generous serving area and shaped front top rail. 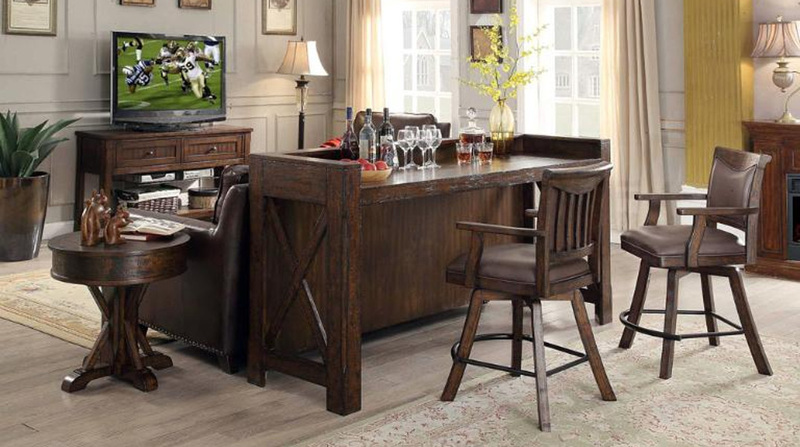 Stools are done in comfortable leather with extended metal foot rest and memory returns for added comfort.